7/27/2011 - "Cheryl is the best agent. She goes above and beyond in her service as an agent. She is detail oriented and works very hard to get everything you want. Great agent!" 7/25/2011 - "Thank you so much for everything!" 7/15/2011 - "Thank you. You made the experience (of selling a home) almost pain free!!!" 7/13/2011 - "I would highly recommend Cheryl Bare to anyone. She is very professional and personal and has become a special friend to our family." 7/13/2011 - "The support we received when making our house purchase was outstanding. 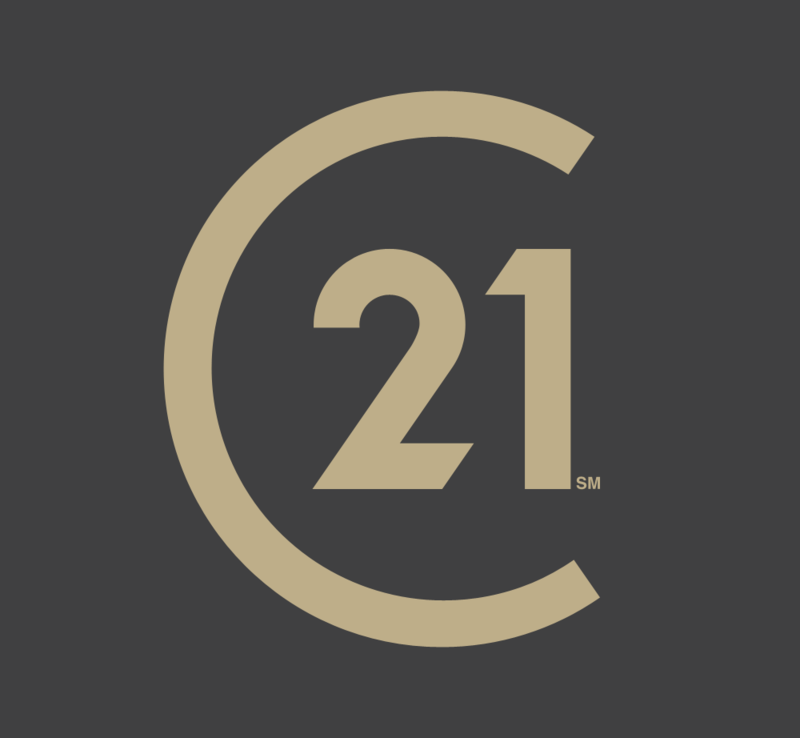 I will definetly use Century 21 Comstock Earnest for all of our future real estate ventures." I wanted to take the time to type this letter because I didn't think a standard form would allow me to relay what I feel you represent as a realtor. I want to thank you for all the assistance you provided me during my home search. I appreciate the information and advice you gave me during this process, as well as the connections you shared with me in order to obtain a home I didn't expect to call my own. I got more than I expected. Your expertise and help was invaluable during my home-buying process and I just want to ensure you know how much your expertise and care meant to me. Your company should be very happy to have an individual like yourself on their team of professionals. I will always keep in touch with you and recommend you to other who are looking to buy a home. Again, thank you so much. I sincerely appreciate your assistance. 6/6/2011 - "Excellent & professional agent! Thank you!" 6/3/2011 - "We don't think anyone could do any better a job than Cheryl. She is a real go-getter. Cheryl's comprehensive research resulted in setting the right price point. This resulted in a large volume of traffic as well as multiple offers." 5/11/2011 - "No problems. Cheryl is always on top of everything. We are very thankful that we used her to get our house sold." 4/29/2011 - "Well connected - handles all matters expeditiously. She made sure everything was right on time, looking out for my best interests." 4/29/2011 - "Cheryl is the BEST. Her support goes above and beyond expectations. It was a pleasure working with her." 4/26/2011 - "Excellent agent! She will be our lifetime agent." 4/20/2011 - "Cheryl was well informed regarding the purchasing of my home and the foreclosure process. She was quick to handle the contract which put myself in a good position to obtain the house. Her attention to issues that needed to be handled or corrected by the seller was swift and precise. Cheryl took care of my needs ensuring everything was being handled. I would and have definetly referred Cheryl to others." 4/18/2011 - "Cheryl was a pleasure to work with; she was patient and stayed on top of everything along the way. Definitely did her job ever step of the way." 3/31/2011 - "You are wonderful! We can't say enough great things about you and Dee! We appreciate everything you both have done, from educating us about real estate to always looking out for our best interests! I have never met a more diligent team than you both! Keep up the great work and I look forward to reading another article about you being #1 again next year!" 3/31/2011 - "Cheryl always went above and beyond her act as our real estate agent. She is very lovable." 3/30/2011 - "Our overall experience with Cheryl Bare and her assistant, Dee, was absolutely fabulous! Kudos to them both." 3/15/2011 - "Very knowledgeable, professional, & energetic!" 2/25/2011 - "Cheryl is magnificent! I would recommend her to friends & co-workers. She changed my entire view - from renting to buying my first home! Thank You Cheryl." 1/28/2011 - "Cheryl and Dee were awesome. I will definitely be recommending!" 1/27/2011 - "Cheryl was creative with our situation and offered options for us that we though we didn't have. We thought we would not be able to get the house we wanted but Cheryl made it happen." 1/21/2011 - Buying a home can be an overwhelming task for anyone. With my wife and I expecting twins, I can't express to you just how important it was for us to find a home, in a great neighborhood, to raise our family. After working with a few bad realtors, we quickly realized that being a licensed realtor didn't equal professionalism, competence, experience or knowledge. We had all but given up when we decided to call Cheryl. After meeting with Cheryl the very first time, we knew we were finally on the right path. She took the time to sit with us and really listened to our description of what we were looking for in a home as well as how much we wanted to spend. Unlike other realtors, she didn't show us a bunch of homes that didn't match our description of what we were looking for in a home as well as how much we wanted to spend. Unlike other realtors, she didn't show us a bunch of homes that didn?t match our description or budget. She didn't try to push us into a home just to make a commission. She took the time to guide us through this daunting process and educated us along the way. Before Cheryl was through with us, we knew just about everything we needed to know about purchasing a home. So if you're looking for realtor, they're all over the place. However, if you're looking for someone that you can trust, someone who will be with you every step of the way, someone that will have your best interests at heart, someone who will make your peace of mind her priority, and someone with a knowledge that only comes with years and years of experience, then the choice is clear. Cheryl Bare is the right realtor for you. To us, she is more than a realtor. She is a friend that you can depend on. Buyers - Shawn, Denitra (and our new additions) Colin and Caleb. 11/30/2010 - "Cheryl was everything we hoped our realtor would be and helped us sell our home in less than 2 months during a down market. I would highly recommend her to any seller or buyer." 11/19/2010 - "Cheryl was great. This deal was difficult and Cheryl went above and beyond. She was great and we were lucky to have her!!!" 11/22/2010 - "The best selling experience we could have asked for! Thanks again." truly a blessing from God!" 10/8/2010 - "It was a pleasure doing business with Cheryl. She is very knowledgeable & professional. Cheryl was always available to help us and definitely went above and beyond." for life and recommend her to everyone." 9/16/2010 - "Cheryl was great! Went above and beyond anything I could expect. Made my first home buying experience very easy." had multiple obstacles and she helped ease our minds." 9/7/2010 - "Cheryl is AWESOME!" 8/3/2010 - "Cheryl is wonderful, we would highly recommend her to anyone. She took care of us and in a short amount of time (in 2 days we were able to contract a house.) She is a blessing to a military family." 7/30/2010 - "Cheryl made our process very pleasant and easy with her great knowledge and understanding." 7/23/2010 - "Cheryl is a great lady and Dee is a great assistant." 7/14/2010 - "Cheryl & Dee were very helpful with all our questions & concerns in selling our home." 6/28/2010 - "We were very happy with our choice of an agent (Cheryl). She did a great job working with us and getting us through this process. Cheryl we sincerely appreciate all your efforts to help sell our home. We will recommend you to all our friends and family for excellent service." 5/27/2010 - "Couldn't have been better. Cheryl knows her stuff." 5/24/2010 - "Everyone; Cheryl Bare, the C-21 staff and Dee, Cheryl's assistant, were very aware, involved and helpful during the whole selling experience. Cheryl was very sensitive, experienced and thoughtful." 4/23/2010 - "Cheryl Bare is absolutely wonderful. She was always available to us to answer questions and provide support during the LONG sale period. Her assistance was invaluable and we are very happy with the fantastic job she did for us to make a potentially difficult transition a piece of cake." 4/22/2010 - "Cheryl is THE only agent I would recommend. I went through 2 other agents before her." 3/31/2010 - "Cheryl is an excellent agent. I would recommend Cheryl to everyone. Cheryl will be the only agent we use in the future. Thanks Cheryl for all you did for us." 3/25/2010 - "Cheryl Bare has been such a professional. Her constant communication and matter of fact approach put me at ease. She has got my business and I would recommend her to anyone. We are so grateful." 2/26/2010 - "Cheryl has been the most knowledgeable person and was able to help me through my first time purchase. I would highly recommend." 2/26/2010 - "Cheryl was here from start to finish with the purchase of our new home. Viewed each document prior to signing to assure everything was legal. Will recommend her in the future." 2/24/2010 - "Cheryl is always very helpful in every aspect. We look forward to doing business with Century 21 and Cheryl again." "Cheryl made what seemed like major surgery into a nice general summer breeze!! Cheryl is honest and she kept on the ball. She was truthful at all times and kept us from getting discouraged. I would highly recommend her, especially to 1st time home buyers!" "Cheryl was Fabulous! She makes it happen! We appreciate all the time and effort she made making the sale of our home occur. We couldn't be more pleased." "Wherever Cheryl goes we are going!!! Tom Earnest better keep her!" "Cheryl seemed to be one step ahead of all aspects of the deal. Our home sold really fast!! Cheryl is always on top of everything. Our son and daughter have also used Cheryl. We would highly recommend her."